Great sushi bars? 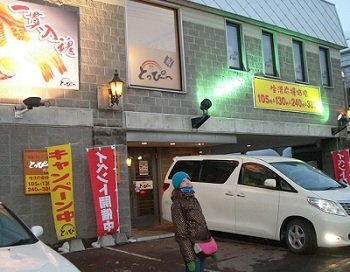 Visit Topi in Otaru, a very short train ride from Sapporo Japan. Here you will find the freshest and most delicious sushi at great prices. So if you are visiting Sapporo, why don't you take a one-day trip to the beautiful, quaint city of Otaru and eat some of the best sushi in Japan. Topi (written is Hiragana) is one of those sushi restaurants that is in the style of a sushi-train or conveyor belt sushi, as some like to call it, and is only a short walk from the main canal area. It is quite difficult to see because it is away from the bustling streets of Otaru so you must keep your eye out if you are to find it. 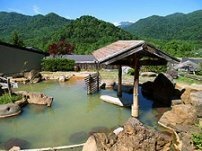 But because of this you won't find many tourists here, only locals that visit this hidden gem. You know that the sushi is fresh as the chefs always show the customers the fish he is going to prepare and then does it front of you. This provides a very lively atmosphere and the staff are constantly shouting out orders and specials so there is never a dull moment. The prices are also very reasonable. 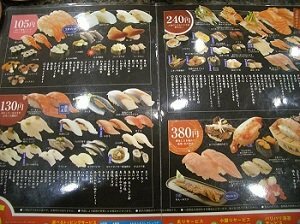 Looking at the beautiful menu (pictured) you can see that there are four prices for a plate of two pieces; 105 yen, 130 yen, 240 yen and 380 yen. You can also mix and match your dishes with the combo menu that is provided and the menu also indicates where the sushi has come from. 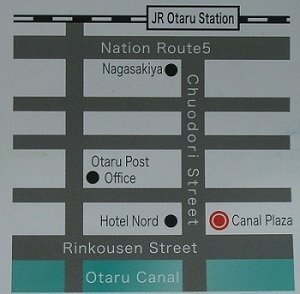 Take a train from Sapporo JR station. It costs 620 yen one-way and takes approximately 35 minutes. From JR Otaru Station walk straight down Chudori Street, towards the port of Otaru down to Otaru Canal. Once you reach the canal turn right and walk along it for approximately 5-7 minutes. Tobi (in hiragana) will be on your left on the second floor.